If you have possibility, please, support this project. Every single euro (dollar) counts! My name is Volodymyr Kurylenko. I am musician from Ukraine. 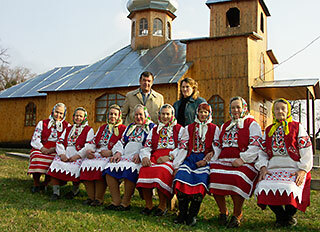 Willing to do something more for culture of Ukraine, I want to introduce you a unique women folk choir from Mutyn - a village neighbouring to my native town Krolevets in the North-East of Ukraine. The age of women is from 60 till far after 80. 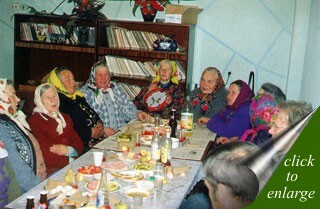 They sing Ukrainian folk songs which have deep historical roots. Why do I record the choir? Understanding that this is not a successful comercial project at all, I still do this because of love to Ukraine, love to simple people who populate it and because of wanting singing soul of my folks to stay in history. Big words, but that's what I feel. Why do I have to hurry recording?